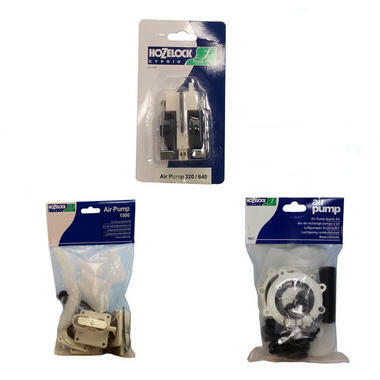 Genuine Hozelock Spares Kits for their range of Air Pumps. Hozelock Air pumps are a great choice to help provide additional oxygen to your pond. However over time the pumps may reduce in power for a variety of reasons. Hozelock provide Spares kits for their range of pumps, providing you with all you need to renew that pump and increase its efficiency once more. 4500 Air Pump Set - Diaphragms and rubber seals, air filters, flapper valves, tubes and clips.